 Below is a list of continuing care retirement communities in Memphis, Tennessee. If you need additional help finding care for you or a loved one please contact our FREE care counselors at 1-800-955-8510. ElderCare Consultants will give you peace of mind as we help you make the best decisions possible and ensure that your loved one has the best care available. Contact Eldercare Consultants today! Kirby Pines has been voted the #1 Retirement Community in Memphis for 11 consecutive years! A beautiful lifecare community nestled on a landscaped 60 acre gated community in east Memphis.. Kirby Pines is a proud family member of Retirement Companies of America. Kirby Pines provides independent living luxury apartments, garden homes, assisted living suites, nursing, rehab and memory care. Conveniently located in midtown Memphis, just off of North Parkway and just blocks from the Memphis Zoo, at The Glenmary at Evergreen we take pride in creating a culture where our residents have the freedom to live life to the fullest. Our beautiful, gated community offers those 55+ with a full spectrum of continuum of care options including independent living and assisted living, as well as outstanding amenities and a caring, passionate staff. Trezevant Episcopal Home is a non-profit continuing care retirement community located in the University of Memphis area. The 15 acre campus houses 235 independent living homes, 77 assisted living apartments, 27 memory care units, and 104 skilled nursing beds. Just east of downtown Memphis, the beautiful and warm environment at Greenfield Assisted Living at Lenox Park is designed to help our residents maintain a happy, healthy and active lifestyle. With independent living, assisted living, and memory care services conveniently available all on one campus, our professional and caring staff is on-duty 24 hours a day in order to provide you with the highest level of service possible.